Welcome to Emerald Isle Condos in Fort Walton Beach on the Emerald Coast. Fort Walton beach is rich in history but also has embraced the new era of beach development. Emerald Isle is one of the more popular Okaloosa Island vacation destinations. Located just west of Destin Florida, in Okaloosa County, Fort Walton has long been a major vacation destination for many families. Enjoy the ammenities this complex has to offer such as, private tennis courts, beachfront pool, community grilling area, and free wifi! There are many activites in the Fort Walton Beach area. Things your family may enjoy are the Airforce Musuem, local aquarium, sugar white beachs and emerald colored waters of the Gulf of Mexico. Let Emerald Coast by Owner help you find your next perfect family vacation rental property. 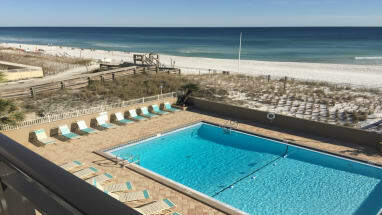 Fort Walton beach has all you need and you can find your next rental here. Contact the property owner directly and avoid any booking fees from other booking sites. Feel free to contact the property owners today with any questions you may have about this vacation rental destination. 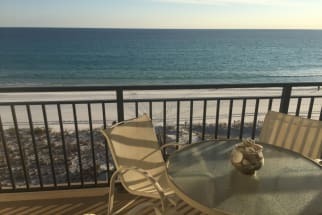 We hope you enjoy your stay at Emerald Isle, Fort Walton beach Florida!